Class Rank is quirky. Quirky is its defining characteristic. The protagonists, the plot, the visual style, everything about it is whimsical and strange. And that’s not a bad thing. I actually really enjoyed its odd sensibilities, the only problem is that at times it felt like I had seen them before. 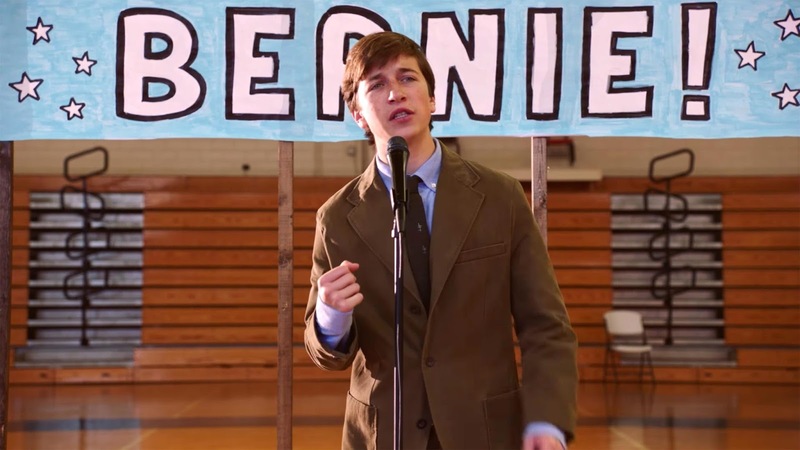 The film follows ridiculously eccentric and formal high school student Bernard (Skyler Gisondo), and his campaign to run for a seat with the school board of directors. 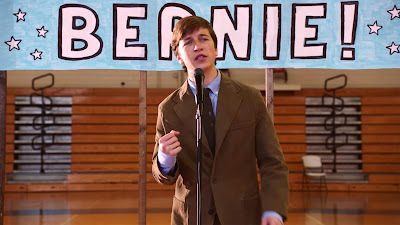 Fueled by his preppy classmate Veronica (Olivia Holt) and her drive to look exceptional on her college transcripts, the pair form an unlikely alliance and shake up the world of local government. 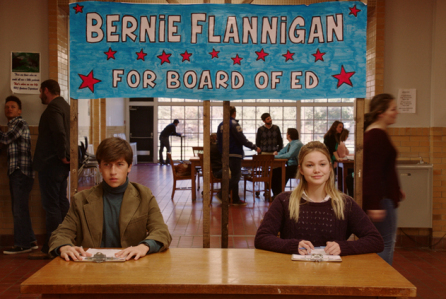 Circling back to the quirkiness of the film, Class Rank is very clearly inspired by the early films of Wes Anderson, particularly Rushmore, with its borderline inhumanly quirky central characters making mountains out of molehills in terms of the small town’s school board election. It’s a very Anderson quirk, which is again, not to say there’s anything wrong with that, I love Wes Anderson’s films, but they’re very unique to his voice, whereas Class Rank felt somewhat familiar. There are ways to be reminiscent while of another artist’s work while still being your own thing. Wrinkle in Time for example, felt very similar to the early fantasy films of Steven Spielberg, and yet was still able to have its own identity unique to itself. During Class Rank, I couldn’t get the comparison out of my head. I did appreciate this movie’s strangeness however. I found the characters both incredibly weird and endearing at the same time, and fully enjoyed spending 90’s minutes in their unusual world. This is a very charming film. I loved the dynamics between the various characters, none of whom would naturally be friends. I particularly liked the subplot concerning Bernard’s grandfather (Bruce Dern) and his attempts to get back out into the world. It’s a movie about finding your voice while also adapting it to suit the widest possible audience. A coming of age movie about politics. If you like your movies cute and offbeat, you’d really like Class Rank. The only thing that didn’t land for me with the film was the beginning of its third act. It played into a trope that a lot of comedies do, where the third act gets tense and heavy, with characters revealing secrets and getting angry at each other. While I understand the necessity of these types of plot beats, to me it always seems like the film would have been better suited to stay with its initial tone and keep the laughs coming, and I felt that here too. I wish there was a way to hit the necessary plot beats covered in the section of the film without bringing the pacing down. Past that I fully enjoyed this weird little movie. Much like its main characters, it lives in its own strange little world, which is ridiculously fun to go visit. Class Rank is proudly the quirkiest thing I’ve seen all year.